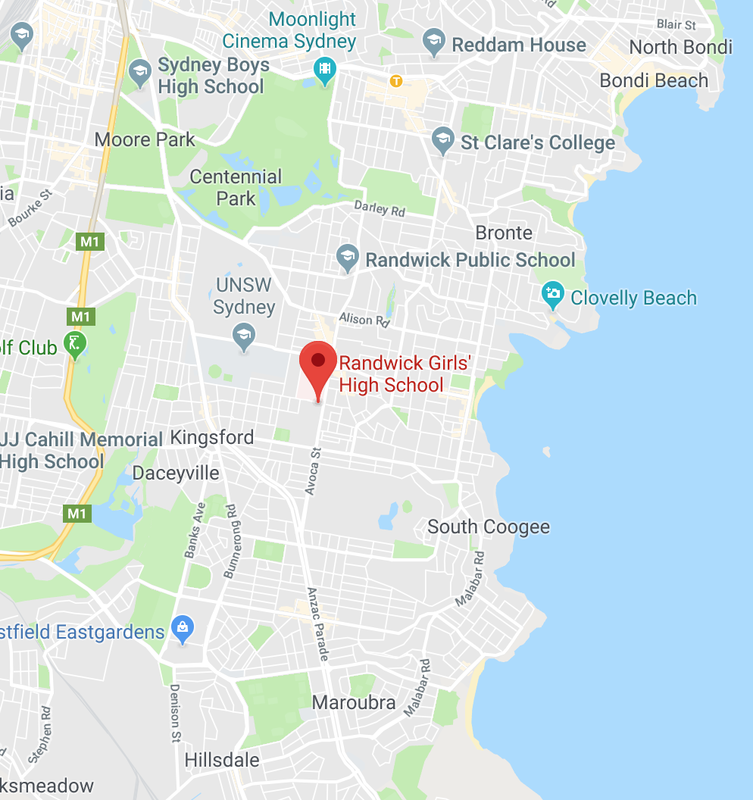 Randwick Girls' High School is conveniently located to both coastal beaches and Sydney's CBD. We are also within close proximity to the University of New South Wales (UNSW), Prince of Wales Hospital, local cinemas and an abundance of cafe's and eateries. Bus routes to and from Randwick Girls' High School are readily available here.